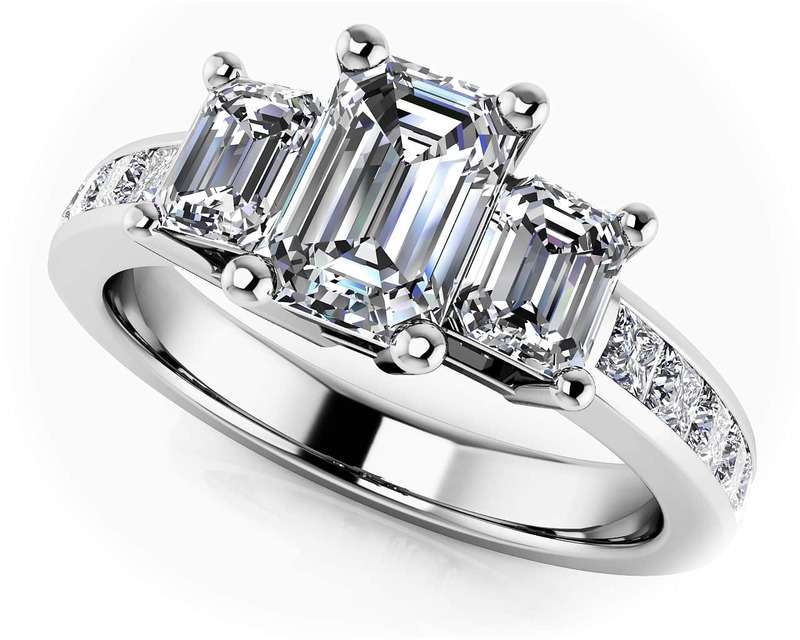 Total Carat Weight: 1.32 ct.
Show your passion with this sophisticated design. 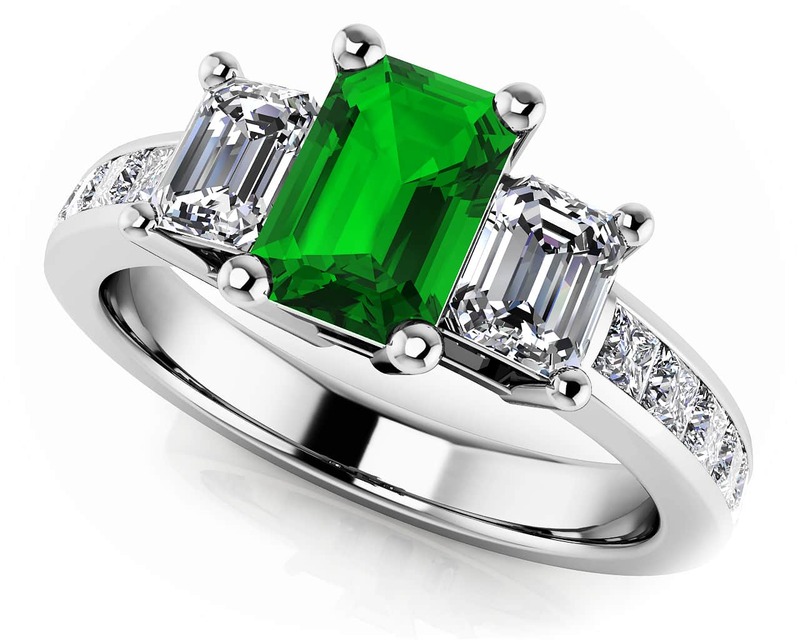 A rich, emerald cut gem of your choice sits between two smaller emerald cut diamonds for the ultimate look of elegance. 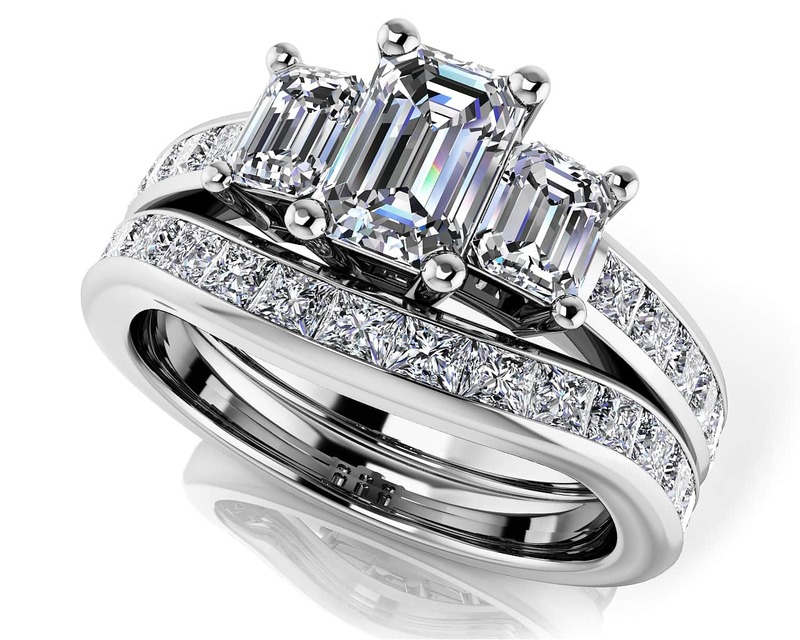 Bold princess cut diamonds are set perfectly along the band for extra sparkle. Available in your choice of gold or platinum setting, choose yours today! All gemstones are AA quality. Model Carat Weight: 1.32 ct. Effective Carat Weight: 1.32 ct.
Stone Carat Weight: 12X.035 ct., 2X.200 ct., 1X0.500 ct.